Now featured in two new Treasuries on Etsy! Plus a break down of my Newest soap….Spring Blossom! My newest product….Organic Sunscreen is featured here in a treasury about a “holiday at the beach”! My SPF15 Cocoa Shea Butter Protectant is featured here in a treasury titled “Down by the Sea”! Now my newest soap!! Spring Blossom!! 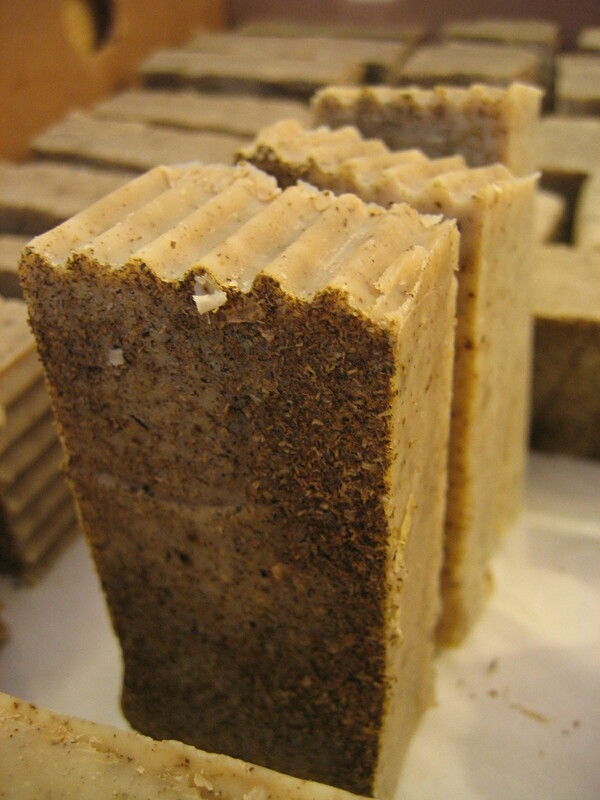 This soap is a creation born out of my love for my herbs! A sweet combination of Lemon Balm and Chamomile. I grow both herbs Organically here on our farm. The smell of Lemon Balm is a lemony, refreshing burst of Spring, right in your nose:) And Chamomile is a light appley scent that reminds me of sunshine! 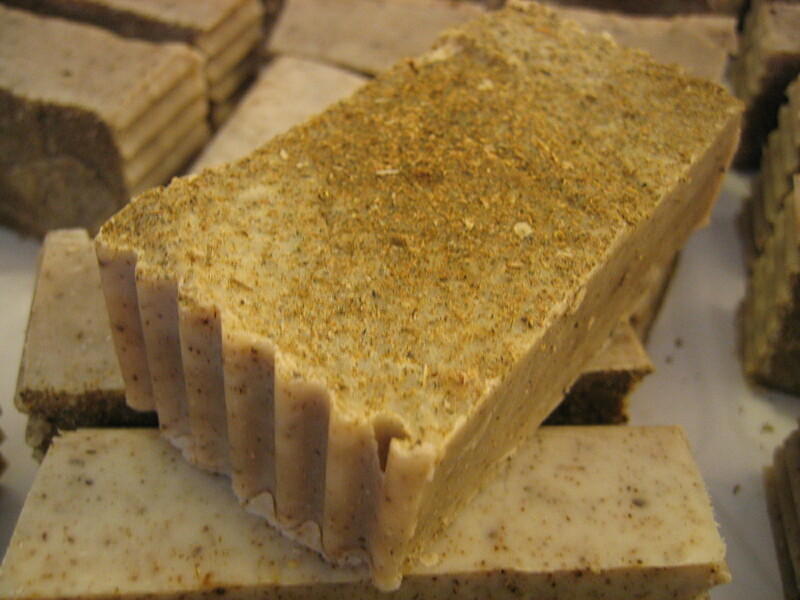 I started the soap batch with a very strong brew of Organic Chamomile tea made from the chamomile buds. Then I saved the used chamomile and incorporated it back into the soap at the end along with some ground Organic Lemon Balm. I also added some Organic Lemon Balm & Organic Chamomile essential oil right before pouring it into the mold. The essential oils not only carry a wonderful scent, but are healing and soothing to your skin! I had to top it off with a sprinkling of some ground chamomile too! 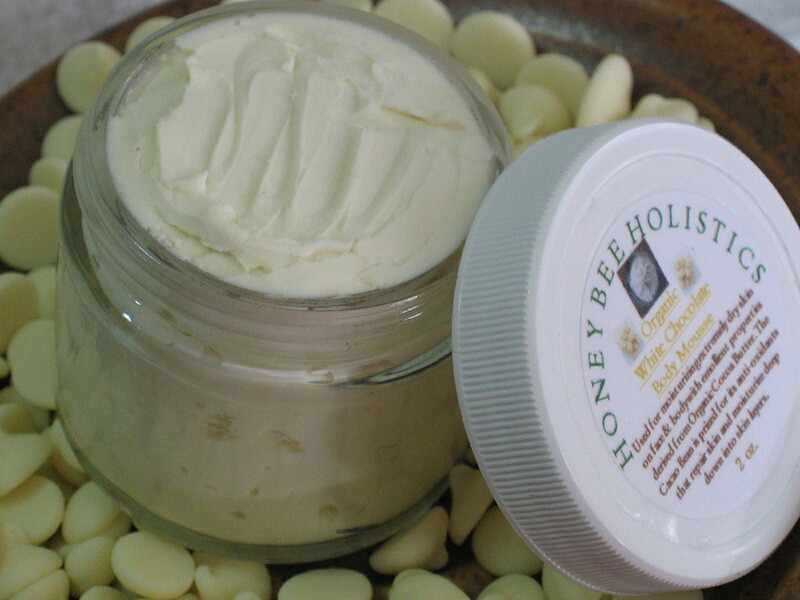 Stay tuned for the next review…..Organic White Chocolate Body Mousse!! Indulgence for your skin and your nose! !